Look for Auto Title Loans to Fix Car Catastrophes! Ever had your car wrecked or were in a wreck and still need a way to pay for repairs? Well, we have the answer: it’s your car’s TITLE. In cities as large as Tempe, Phoenix, Mesa, or Scottsdale, you’ll find it incredibly difficult to find your way around the city, and even to work, without a vehicle to get you there. When automotive problems strike you out of the blue, it can cause disastrous consequences such as losing a job, or missing important appointments. Don’t let yourself be down and off the road for so long, come visit Phoenix Title Loans, LLC and we can get you back on the road in minutes. That’s right, we can offer you Auto Title Loans to fix car problems that arise out on the road. Though we CAN’T FIX the car for you, using our Auto Title Loans to repair car wrecks can be the best way to get you back in your car and on the road again. 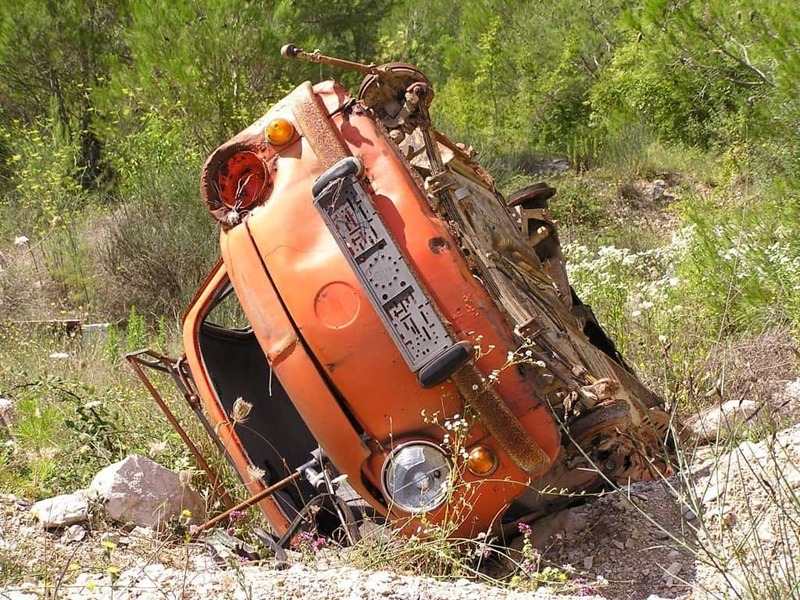 How can you offer Auto Title Loans to fix car wrecks? Our Auto Title Loans are possible to offer because they are backed by the standards set by the State of Arizona, so you know you are covered. An auto title loan to fix your vehicle works just like any auto title loan would work. You use your vehicle’s title as collateral to get yourself immediate cash and that gets you to fix your vehicle. There’s many different options we can make available to you to get you back on the road. Our mission here at Phoenix Title Loans, LLC, is to assist and serve our customers to help them get back on your feet. Neither one of us wins if you lose your job or can’t repay an auto title loan, so we’re happy to afford any options possible to our customers. If your vehicle needs repairs, there’s only one auto title loan lender in the Valley of the Sun that you should trust. If you’re not sure whether an auto title loan is right for you, just give us a call or stop by any of our locations and we’ll be happy to go through your options with you. This lets you know that when have auto problems, we’re not far away to help you out. If you have further questions in regards to our Title Loans process, click on the link provided here. What is the benefit of Phoenix Title Loans over other businesses? As a respected business in the Valley, Phoenix Title Loans has always made a priority to provide our customers with the Title Loans that they need. That’s why we offer Auto Title Loans to repair car problems as a solution. We wish to see our customers happy with the loans that they receive from us and will assist them in making payment options that’s right for them. Finally, we also prefer to make little to no hassle when GETTING a Title Loan from us. All these reasons and more are why people get Auto Title Loans to fix car troubles from Phoenix Title Loans. We Serve the Valley at our ten locations throughout the Greater Phoenix Metropolitan Area. Contact a store today to help you get the money you need to drive again! Absolutely! While our competition will offer 30 day no interest on their loans, we’ll up the ante and come at them with 60 days no payment! That’s right, two whole months to get you back on your feet before you even need to make the first payment. We also have the benefit of accepting almost ANY vehicle as long as the title is free and clear. If it’s not yet, contact us and we can assist as best we can. And even IF you chose to go somewhere ELSE for your auto title loan Phoenix Title Loans can still help you out! We buy out title loans and even refinance title loans in case you feel it too much to handle. And at our location in Van Buren our Boat Title Loans customers have the benefit of us storing their boats with us while they pay. This frees not only time to get your loan paid, but space around the home for whatever purpose in mind. What other Title Loan company is willing to provide these great services? Other than us, very few. One of the best features of Phoenix Title Loans is our multiple locations across the Valley of the Sun. Instead of desperately searching for an auto title loans Tempe location, or an auto title loan Scottsdale location or even an auto title loan Phoenix store, just look to us! We have eleven locations spread throughout the Valley, in Phoenix, Scottsdale, Chandler, Avondale, Mesa, Tempe, Casa Grande and so on. We even provided the kinds of auto title loans Casa Grande locals would want! And customers keep coming back to us as the auto title lender choice when they need a financial problem solved!